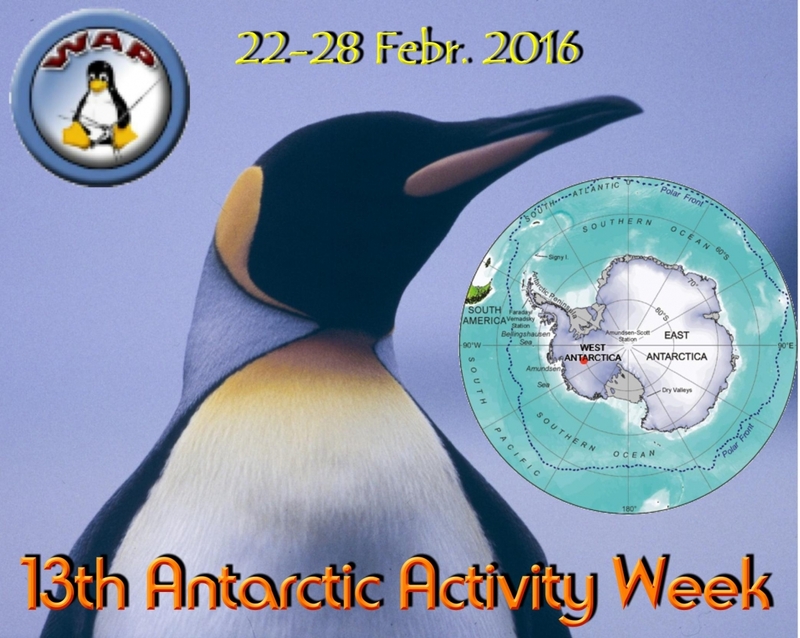 The 13th Antarctic Activity Week – from 22 through 28 Febr. 2016. 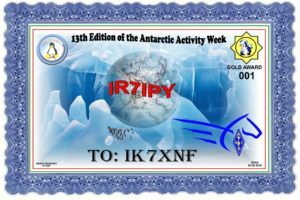 For this year’s edition Cesare, IK7XNF-IR7IPY offers to the participants who will work him on different bands and modes, free Antarctic Activity Week’s Awards (Bronze, Silver and Gold) . 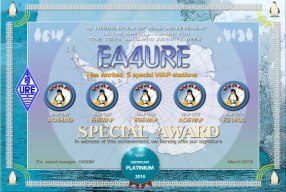 Join 2016 AAW and enjoy the event! 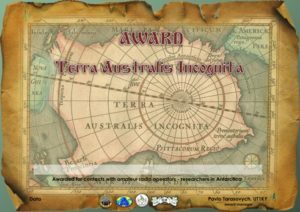 “Terra Australis Incognita” Award is available starting 1-1-2014, for working 2 AAW’s Stations and mix them with 1 QSO with an Ham Antarctic veteran, who did operate from Antarctica in the past , and 1 QSO with an Antarctic Base. 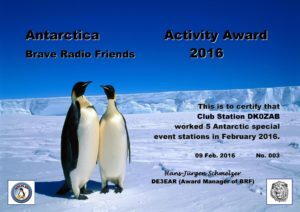 BRF (Brave Radio Friends http://braveradiofriends.weebly.com) will also sponsor the 13th Antarctic Activity Week with a new AAA (which will looking different every year).